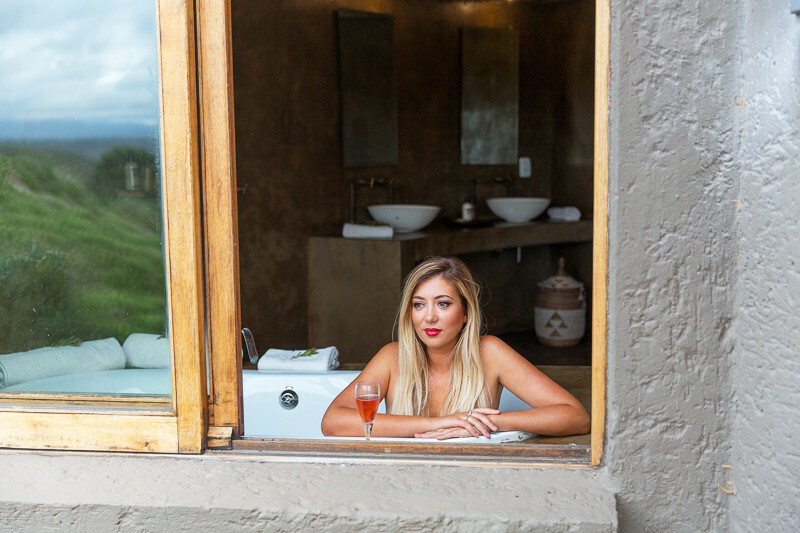 Gondwana Game Reserve has been on my list of must visit places for quite a while now and recently I had the chance to spend the night at their Kwena lodge with Mike. 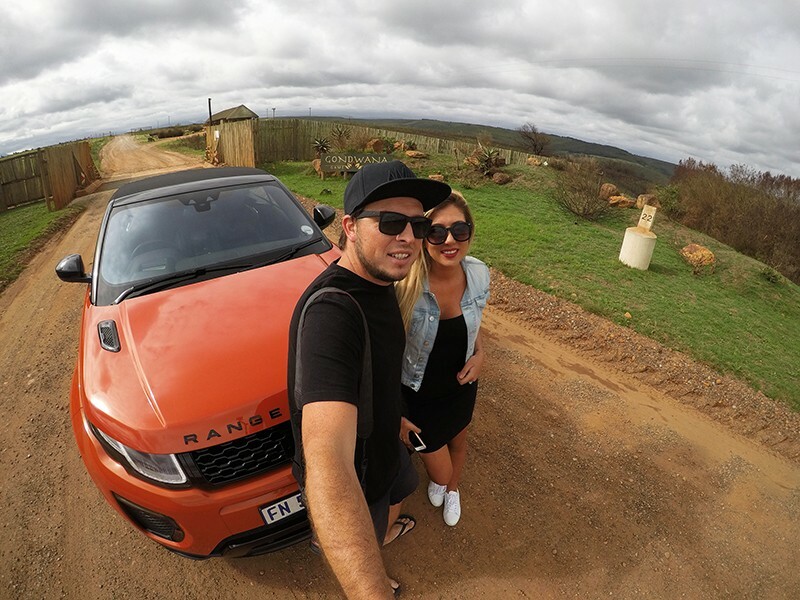 We were planning a road trip to the Wild Coast for a few days and seeing that we were driving from Cape Town it was a good idea to break up the trip with a stop in Mossel Bay and in Port Elizabeth. Our road trip also started on Valentines Day and we had a facebook live planned so we thought a romantic Game Lodge Sunset would be perfect. We drove from Cape Town at about 12 and it takes approximately 4 hours to get to Gondwana so unfortunately we just missed the afternoon Game Drive. It did give us time to take some photos of our awesome room which is made to look like a Khoi hut and has the most insane skylight for checking out stars from your bed! 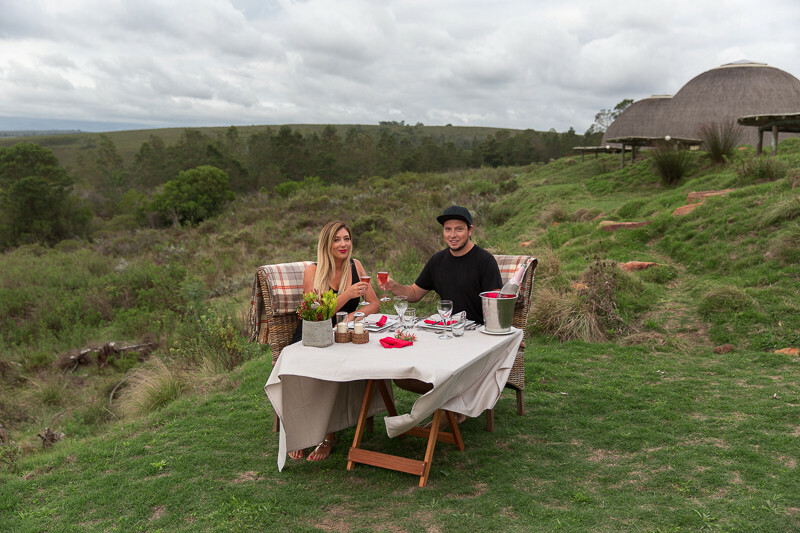 We also had time to freshen up and and sort out some sunset bubbly and have the great people from Gondwana set up a romantic table for us. While they were setting up for us a herd of Zebra’s came to chill and eat right by us which was so amazing and they even stayed for our live! 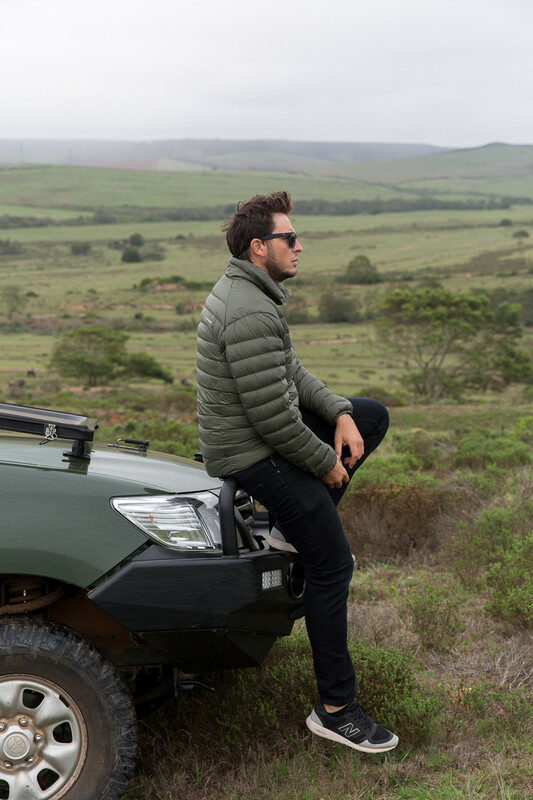 There are a few different places to stay on the reserve like the Bush & Fynbos villa’s, the tented eco camp and the amazing Ulubisi House. 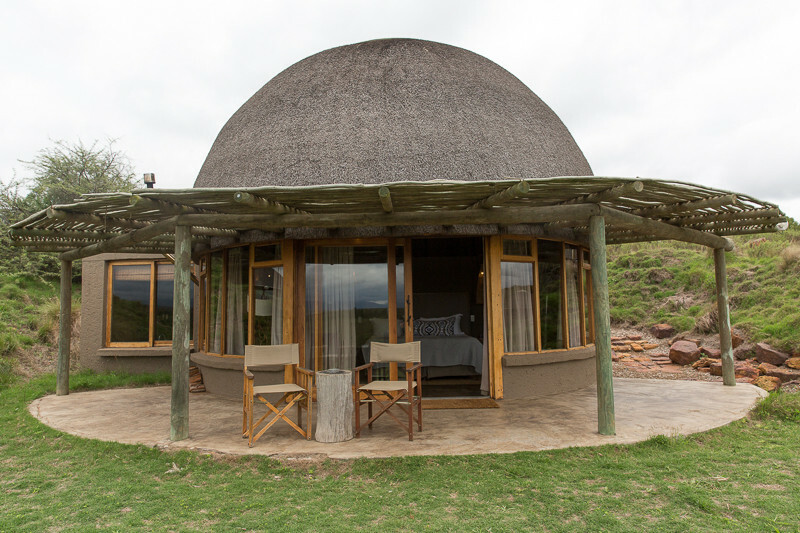 We stayed in the main lodge though,called Kwena lodge that has 14 circular open plan huts. I loved the decor of these so much and the bathroom was an absolute dream. The huts are in kind of a C shape with the main dining are of the lodge, the reception and the bar in the middle part of the C and the huts on either side. The pool area is in the middle and then a watering hole not too far off. This means that sometimes guests are lucky enough to see Elephants drinking from where they are sitting outside their room. I also liked that you had some privacy as there was a small grassy hill between each hut. You also have a nice wifi signal in every room that is very easy to connect to which we were so grateful for as our FB live was awesome quality. There was a nice cosy spot and a fireplace as well and I almost wished it was a cold stormy evening so we could sit and have some wine in front of it! 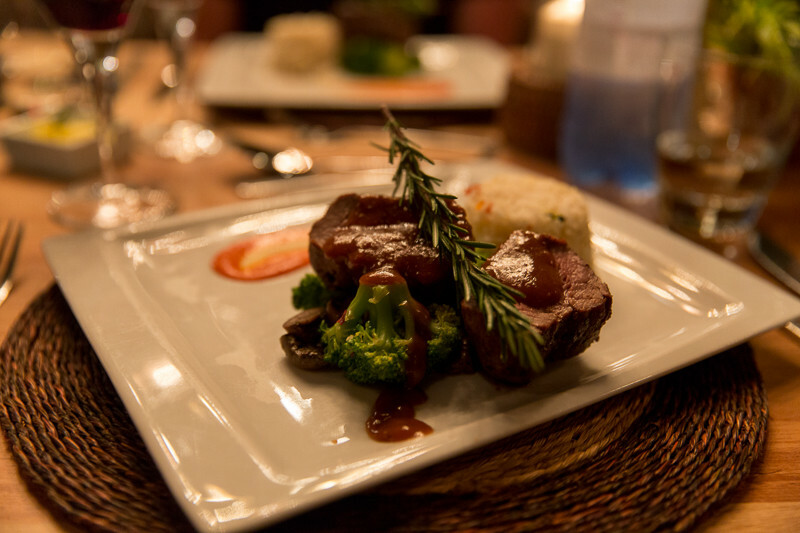 Game lodges always have great food and Gondwana is no exception. We had a delicious three course meal in the evening and it felt extra special because it was Valentines day! The next morning we had a delicious buffet outside with lots of local favorites. We didn’t get to try lunch or high tea but we will definitely be back so I cant wait for that. 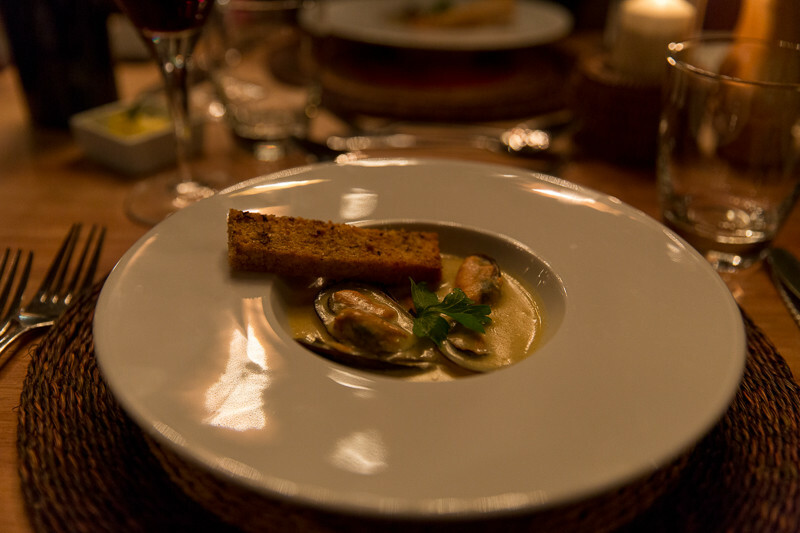 As you have all your meals usually while staying at a lodge I feel that its important to have consistently good quality as well as having enough food so you aren’t ever hungry. They were also super accommodating with what people wanted as I saw a few tables changing their meals a bit. 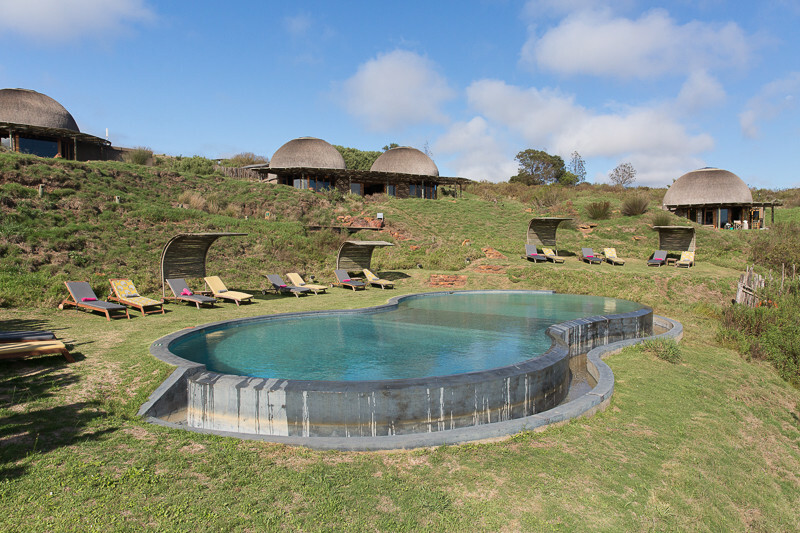 As with any lodge they have their early morning and late afternoon game drives which is always such an exciting part of staying at a game reserve. We missed the evening one so we woke up at 5am, drank some good coffee and went to find some animals with our guide and some other guests. 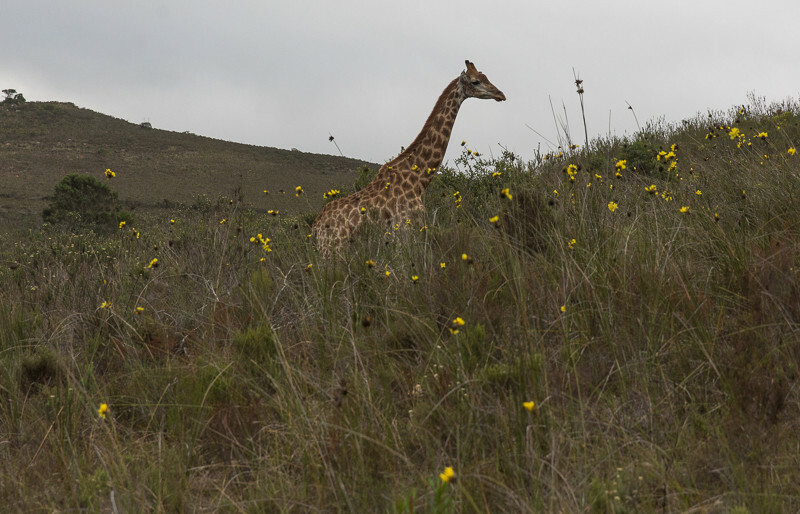 We were lucky enough to see some endangered mountain zebra’s, cute giraffes. We also saw two beautiful Rhinos that are protected 24/7 by the anti-pouching squad. We stopped for a quick coffee along the way as you do and we got to relax and just take in the lovely green landscape. The outdoor picnic with Zebras would be awesome! 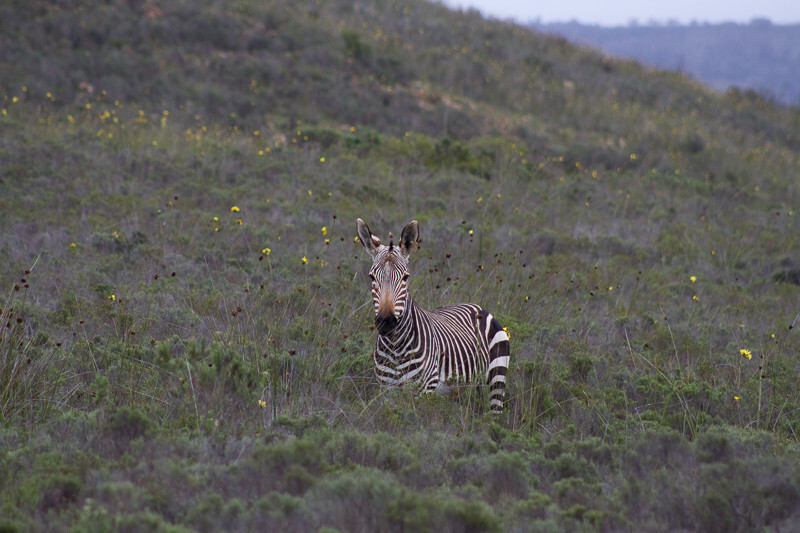 And then to see more Zebras and giraffes and more on the Game drive looks amazing. What a great romantic getaway, with some wildlife adventure. Those hut/rooms are so cool! Love the view and a totally different sleeping style. We always travel with the kids and they would love this unusual arrangement. They always enjoy scoping out our lodging as soon as we arrive. I’ve always wondered what sort of food they would have at arranged places like this one. Kids aren’t the most adventurous of eaters as a rule….but bread and fruit always goes over well! 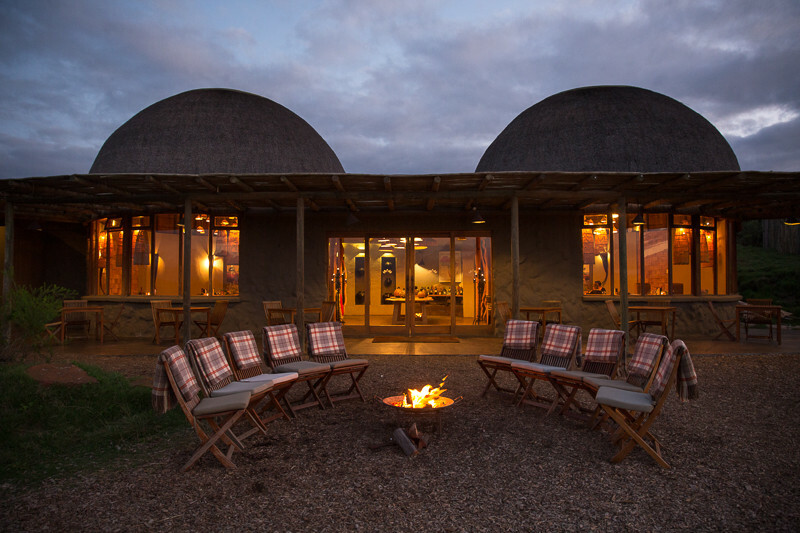 Godwana Game reserve looks like the perfect combination of wilderness with comfort. 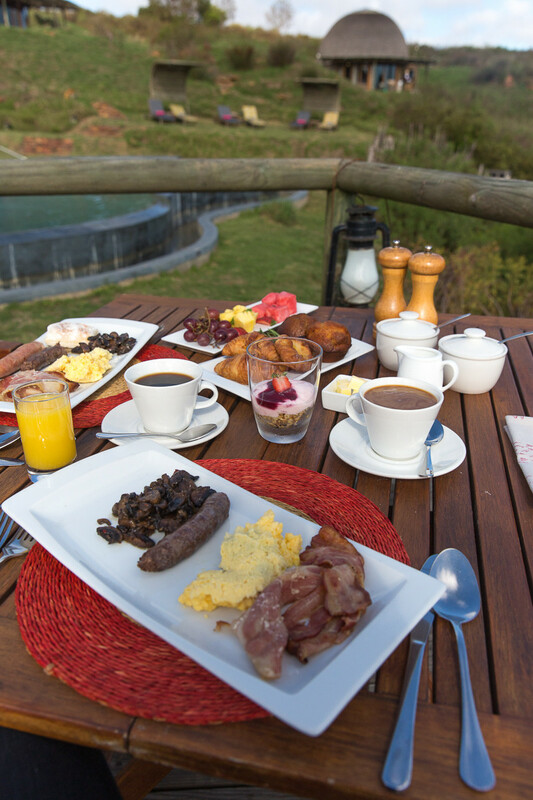 I mean, the food looks amazing and so does the wildlife, not to mention the hot tub. I also love the look and the feel of the rooms. Awesome post and will put this on my busket list. What an amazing valentines day celebration. Having champagne outside with zebras would be a dream for me. The lodge looks lovely and the bathroom absolutely divine. You described the food as being delicious and good quality si you are never hungry. Your pictures obviously do the food justice too. I can’t remember what I ate in valentines day so the fact you guys had this memorable 3 course meal is something you should cherish! You had zebras grazing peacefully near your huts? That’s like… wow! I love how romantic the resort is and the fact that it’s in the middle of nowhere, and that you can get a private table for a romantic dinner set up just like that makes me wanna go there! The food looks delicious as well! 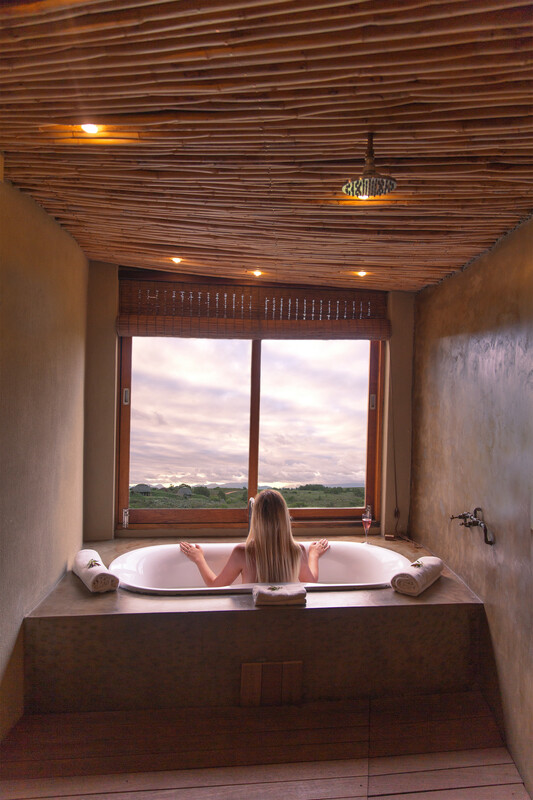 I wouldn’t have imagined that a game lodge reserve can be so luxurious! Looks amazing! I’m headed to South Africa in May so might have to check it out! This sounds like the ultimate dream! The photos are gorgeous! Can’t believe you’re so close to the zebras! Such a beautiful place! This resort, that food and your adventure is so amazing!!! Very jealous! South Africa has been grating on my wanderlust for quite some time and this reserve looks spectacular. I love giraffes so to see one up front like that makes me want to jump on a plane right now. I love the lodges. They looks like such a luxury and the views just stunning with zebra outside your window. This looks like the most romantic place! I would love to go here for my honeymoon. I love that it is so close to nature yet so luxurious and romantic feeling as well. What a great find!